Includes 1 Heavy Grip 250 gripper. The best grip trainer on the market today. If you see anything like this out there, they are a cheap imitation. These are the patented originals that are super high quality and have a lifetime warranty. The knurling on these is just right. Your hand is not going to slip off from lack of knurling. If anything, it's going to hurt when you work your way up to the heavier grips. Q: Which size should I start with? Unless you're exceptionally strong, start with the HG100. Even if you can close it easily, it's a good warm-up gripper. Like any exercise, heavy grip training requires warmup sets, and several warm up sets makes a huge difference in what strength gripper you can close. Even if you have been lifting weights for years, you might be surprised how weak your grip is. The HG300 and HG350 are impossible to close with most people's current strength level, and it's a serious workout for strong people. Q: Who should use Heavy Grips? 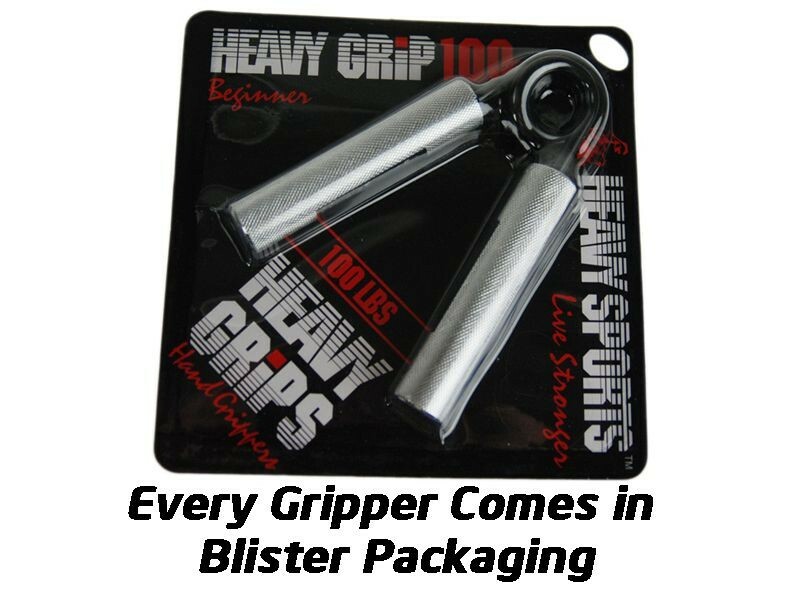 Anyone, man or woman, desk jockey or athlete, who would like to increase their grip strength. This means the strength of their wrists, fingers, forearms and hands. If you don't mind a few calluses, these are the training tool for you. If you have messed with those cheap department store hand grippers and found them too easy, these are the solution. Is your deadlift grip lagging behind, forcing you to use straps? That won't be a problem anymore. Q: Who should NOT use the Heavy Grips? Whiners, slackers or anyone that is likely to complain that their palms are sore after a set of reps. The aluminum handles are knurled to give a good grip even with sweaty hands. You'll get used to it, and your grip strength will increase to reward you. But if you're really worried about sore hands, or you're a hand model, stay away from these! How do Heavy Grips compare to others on the market? No comparison. Heavy Sports actually measures their gripper resistance as a conversion of "twisting-force", and if you're expecting the resistance level to be the same as some other gripper with the same force-pound estimate, you're going to be disappointed and intimidated by the Heavy Grips. 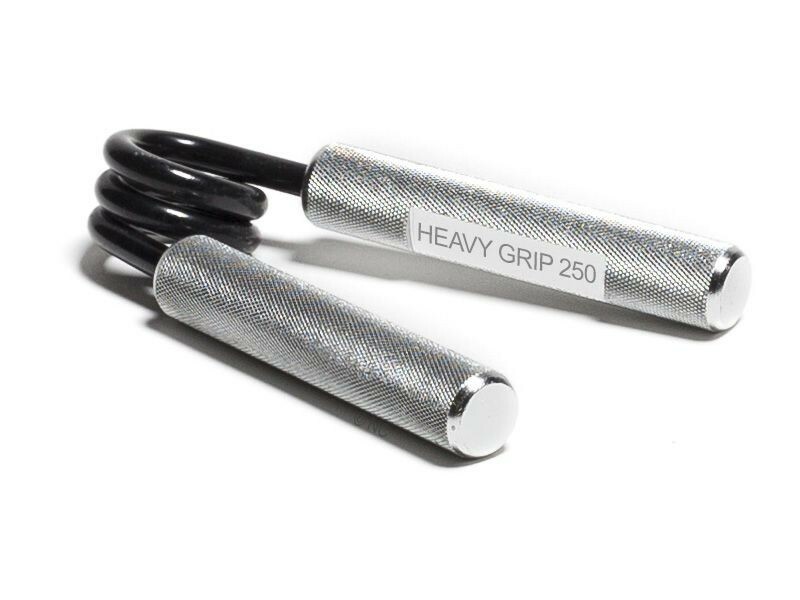 The heavier sizes of the Heavy Grips are no joke, and you will not close them without some amazing natural strength, years of working hard with your hands, or lots of serious training.